*NOTE: For additional holiday concerts check the music feature. [Exhibit] Annual Holiday Poinsettia Show at Lamberton Conservatory.180 Reservoir Ave. Daily 10 a.m.-4 p.m. (Saturdays until 9 p.m.); closed Christmas Day. $2-$3 (children 5 and under free). 753-7270. Monroecounty.gov/parks. Opens December 2, continues through January 8. [Special Event] Dickens Festival, featuring "A Journey through 'A Christmas Carol,'" a new holiday attraction created by Jack Haldoupis and Dianne Dengel featuring scenes from the Dickens classic. Shops on West Ridge, 3200 W. Ridge Road. Check theshopsonwestridge.net for hours. 368-0670. [Exhibit] Holiday Displays at the George Eastman House "Sweet Creations" gingerbread house display and tabletop tree display. 900 East Ave.10 a.m.-5 p.m. $5-$12. 271-3361. eastmanhouse.org.Continues through December 15. [Music] 98 PXY Jingle Jam with performances by Patrick Stump, Sean Paul, Lloyd, Skylar Grey, Joe Jonas, and Big Time Rush. Blue Cross Arena, 1 War Memorial Square.6 p.m. $30-$50. 222-9800. 98pxy.com. [Special Event] Festival of Trees at the Granger Homestead.295 N. Main St, Canandaigua.1-5 p.m. $1-$5. 394-1472. grangerhomestead.org.Continues through December 10. [Theater] "A Christmas Carol" at Geva Theatre.75 Woodbury Blvd.7 p.m. $25-$42.50. 232-4382. gevatheatre.org.Continues through December 24. [Exhibit] Holiday Displays at the George Eastman House900 East Ave.10 a.m.-8 p.m. $5-$12. See listing for Wednesday, November 30. [Special Event] Festival of Trees at the Granger Homestead.295 N. Main St, Canandaigua.1-7 p.m. $1-$5. See listing for Wednesday, November 30. [Special Event] Park Ave Holiday Open House hosted by the Park Avenue Merchants Association. Deals at local merchants, ice sculptures, holiday festivities, more. Park Avenue from Culver to Alexander.5-9 p.m. park-avenue.org. [Special Event] Williamsburg Wreath Workshop at Hurd Orchards.17260 Ridge Rd., Holley.2:15-4:15 p.m. 638-8838. hurdorchards.com. [Theater] "A Christmas Carol" Geva Theatre.7 p.m. $25-$42.50. See listing for Wednesday, November 30. [Exhibit] Holiday Displays at the George Eastman House900 East Ave.10 a.m.-5 p.m. $5-$12. See listing for Wednesday, November 30. [Music] "A Holiday Song Book" with the Rochester Gay Men's Chorus. Hochstein Performance Hall, 50 N. Plymouth Ave.8 p.m. $6-$15. 423-0650. thergmc.org.Continues Saturday, December 3. [Music] Cahal Dunne Christmas Concert at The Shops on West Ridge, Craft Antique Co-Op. Two shows starting at 11 a.m. & 1 p.m. Free. 3200 W. Ridge Rd. 368-0670.theshopsonwestridge.net. [Shopping] 30th Annual Alternative Fair hosted by Metro Justice. Food, music, and holiday-themed activities.FirstUnitarianChurch, 220 S. Winton Road.5-9 p.m. $3.metrojustice.org. Continues Saturday, December 3. [Shopping] Craftmas: A Handmade Holiday Art & Craft Show at the HungerfordBuilding. Door 8, 1115 E. Main St. 5-9 p.m. Free. [Shopping] Holiday Boutique at the Museum of WayneCountyHistory.21 Butternut St., Lyons. 10 a.m.-5 p.m. 315-946-4943.waynehistory.org. Continues through December 4. [Shopping] Holiday Shopping Fair for Seniors with jewelry, candies, crafts, and other gifts. At Chapel Oaks on the St. Ann's Community Irondequoit campus.1500 Portland Ave.1-4:30 p.m. 697-6000. stannscommunity.com. [Shopping] Holiday Shopping Spreealong the Cayuga Lake Wine Trail. Visit wineries for chances at prizes and holiday deals. 1-5 p.m. $30-$55. 607-869-4281. cayugawinetrail.com.Continues through Sunday, December 4. [Special Event] FairportVillage Christmas Party at the Green Lantern Inn.1 E. Church St.6:30 p.m. $40.223-5929. village.fairport.ny.us. [Special Event] Holiday Decorating and Symposium Workshop at Hurd Orchards.17260 Ridge Rd., Holley.2:15-4:15 p.m. 638-8838. hurdorchards.com. [Special Event] Yuletide in the Country at the GeneseeCountryMuseum.Historic decorations, music, merriment.Optional dinner buffet for additional charge.1410 Flint Hill Road, Mumford.5-8:30 p.m. $12-$22. 538-6822. gcv.org.Continues through December 18. [Theater] "A Christmas Carol" at Geva Theatre.7:30 p.m. $25-$59.50. See listing for Wednesday, November 30. [Theater] "The Gift of the Magi" by Black Sheep Theatre at Village Gate.274 N. Goodman St.7:30 p.m. $15.861-4816. Blacksheeptheatre.org.Continues through December 11. [Movie] "Black Christmas" at the Dryden Theatre.900 East Ave.8 p.m. $6-$8. 271-3361. dryden.eastmanhouse.org. [Music] "A Holiday Song Book" with the Rochester Gay Men's Chorus. Hochstein Performance Hall, 50 N. Plymouth Ave.8 p.m. $6-$15. See listing for Friday, December 2. [Music] HolidayMusic by Paul Strowe at the RochesterMuseum and ScienceCenter.657 East Ave.1-3 p.m.Free w/museum admission, $10-$12. 271-4320. rmsc.org. [Music] Transfiguration Bell Choir at Casa Larga Vineyards.2287 Turk Hill Rd.1-4 p.m. Free.223-4210. casalarga.com. [Recreation] Jingle Bell Run/Walk for Arthritis to benefit the Upstate New York Chapter of the Arthritis Foundation. Registration at 3300 Monroe Ave. 264-1480. grtconline.com. [Shopping] 30th Annual Alternative Fair hosted by Metro Justice. FirstUnitarianChurch, 220 S. Winton Rd.10 a.m.-2 p.m. $3.metrojustice.org. See listing for Friday, December 2. [Shopping] Annual HolidaySale at More Fire Glass.Glass and ceramic pieces for sale, and glass-blowing demonstrations.80 Rockwood Place. 10 a.m.-4 p.m. Free.242-0450. morefireglass.com.Continues Sunday, December 4. [Shopping] Holiday Barrel Tasting at Keuka Spring Winery. 243 Route 54, E. Lake Rd., Penn Yan. 315-536-3147. keukaspringwinery.com.Continues through December 4. [Shopping] Holiday Boutique at the Museum of WayneCountyHistory.21 Butternut St., Lyons. 10 a.m.-5 p.m. See listing for December 2. [Shopping] Holiday Shopping at the Lighthouse at the Charlotte-Genesee Lighthouse.70 Lighthouse St. Noon-5 p.m. 621-6179.geneseelighthouse.org. Continues Sunday, December 4. [Shopping] Holiday Shopping Spreealong the Cayuga Lake Wine Trail.10 a.m.-6 p.m. $30-$55. See listing for Friday, December 2. [Special Event] "It's a Wonderful Life in the South Wedge" Holiday festivities and specials at South Wedge businesses all day. South Wedge neighborhood.11 a.m.-9 p.m. southwedge.com. [Special Event] Breakfast with Santa at the SenecaPark Zoo. Three seatings at 8:30 a.m.,10 a.m., and 11:30 a.m. to enjoy breakfast and take a "sleigh ride" through the zoo. 2222 St. Paul St. $8-$18. 336-7200. senecaparkzoo.org.Continues through December 18. [Special Event] Christmas Gala at the ItalianAmericanCommunity Center.150 Frank DiMino Way. 6 p.m. $65.594-8882. iaccrochester.org. [Special Event] Dallywater's British Holiday Feast Five-course holiday meal inspired by British history.68 Castle St., Geneva. 2 p.m. $48.315-719-0140. dallywaters.com.Continues through December 17. [Special Event] Festival of Trees at the Granger Homestead.295 N. Main St, Canandaigua.11 a.m.-5 p.m. $1-$5. See listing for Wednesday, November 30. [Special Event] Geneva Santa Express on the Finger Lakes Scenic Railroad. 5 excursions departing at 10 a.m., 11:30 a.m., 1 p.m., 2:30 p.m., and 4 p.m. Corner of Railroad Pl. and Wadsworth St., Geneva. $12.315-374-1570. fingerlakesscenicrailway.com. [Special Event] Holiday Family Fun Day Holiday events and activities at the Sibley Building (228 E. Main St.) 3-5 p.m. Lighting of the Liberty Pole at 5 p.m. Followed by the family parade to Manhattan Square Park for the season opening of the ice rink at 5:15 p.m. Free event, $3 skate rental fee. cityofrochester.gov. [Special Event] Holiday Laser Show at the Strasenburgh Planetarium.657 East Ave.11 a.m. $4-$10. 271-4320. rmsc.org/strasenburghplanetarium.Continues through January 2. [Special Event] Holiday Tour of Homes in the Corn Hill neighborhood. Two standard tours starting at 9 a.m. and noon. Candlelight tour with refreshments starting at 4 p.m. Meet at 144 Edinburgh St. $22-$28. 262-3142. cornhillholidaytourofhomes.com. [Special Event] Holly Trolley Rides and holiday-themed exhibits in the museum.New YorkMuseum of Transportation, 6393 East River Rd., Rush.11 a.m.-4 p.m. $4-$5. 533-1113. nymtmuseum.org.Continues through December 18. [Special Event] North Pole Express on the Arcade and Attica railroad. Excursions starting at noon and 3 p.m.278 Main St., Arcade. $14.492-3100. arcadeandatticarr.com.Continues through December 18. [Special Event] Pirate Toy Fun Celebration Toy donation drive with a special performance by Gary the Happy Pirate. Strong Museum of Play, 1 Manhattan Square.2:15 p.m. $11-$13. 263-2700. museumofplay.org. [Special Event] Sonnenberg Holiday Tour of Homes and Historic Sites Visit 6 homes and historic sites in Canandaigua. 151 Charlotte St., Canandaigua.11 a.m.-4 p.m. $22-$25. 394-4922. sonnenberg.org. [Special Event] The Polar Express train excursion on the Medina Railroad. Three trips departing at 4:30 p.m., 5:45 p.m., and 7 p.m. 530 West Ave., Medina. $28-$45. 798-6106. railroadmuseum.net.Continues through December 18. [Special Event] Williamsburg Wreath Workshop at Hurd Orchards in Holley.17260 Ridge Rd., Holley.10:30 a.m.-12:30 p.m. 638-8838. hurdorchards.com. [Special Event] Yuletide in the Country at the GeneseeCountryMuseum.1410 Flint Hill Road, Mumford.1:30-7:45 p.m. $12-$22. Se listing for Friday, December 2. [Theater] "A Christmas Carol" at Geva Theatre. 2 & 7:30 p.m. $25-$59.50. See listing for Wednesday, November 30. [Theater] "The Gift of the Magi" by Black Sheep Theatre at Village Gate.274 N. Goodman St.4 p.m. $15. See listing for Friday, December 2. [Exhibit] Holiday Displays at the George Eastman House900 East Ave.1-5 p.m. $5-$12. See listing for Wednesday, November 30. [Movie] "Black Christmas" at the Dryden Theatre.900 East Ave.5 p.m. $6-$8. 271-3361. dryden.eastmanhouse.org. [Music] Christmas Concert performance by the Brighton Symphony Orchestra.3156 East Ave. 3 p.m. 490-9351.brightonsymphony.org. [Music] Holiday Performance by Rochester Rhapsody with the Chorus of the Genesee at the Harmony House.58 E. Main St., Webster. 2 p.m. 865-2731. rochesterrhapsody.com. [Music] Home for the Holidays performance by the Genesee Symphony Orchestra at the St. James Episcopal Church in Batavia.405 E. Main St., Batavia. 4 p.m. $5-$30. 343-9313 ext. 32. geneseesymphony.com. [Shopping] Annual HolidaySale at More Fire Glass.80 Rockwood Place. 10 a.m.-4 p.m. See listing for Friday, December 3. [Shopping] Holiday Barrel Tasting at Keuka Spring Winery. 243 Route 54, E. Lake Rd., Penn Yan. 315-536-3147. keukaspringwinery.com. [Shopping] Holiday Shopping at the Lighthouse at the Charlotte-Genesee Lighthouse.70 Lighthouse St. Noon-5 p.m. See listing for Saturday, December 3. [Shopping] Holiday Shopping Spreealong the Cayuga Lake Wine Trail.10 a.m.-5 p.m. $30-$55. See listing for Friday, December 2. [Shopping] Holidays at the Market shop the market and enjoy holiday themed decorations and activities. 280 N. Union St. 8 a.m.-3 p.m. cityofrochester.gov/publicmarket.Continues through December 18. [Special Event] Breakfast with Santa at the SenecaPark Zoo. 2222 St. Paul St. $8-$18. 336-7200. senecaparkzoo.org. See listing for Saturday, December 3. [Special Event] Festival of Trees at the Granger Homestead.295 N. Main St, Canandaigua.1-5 p.m. $1-$5. See listing for Wednesday, November 30. [Special Event] Gerald Charles Dickens at the Geva Nextstage. Great-great-grandson of Charles Dickens presents "A Child's Journey with Dickens" at 3 p.m., and "Mr. Dickens is Coming!" at 7 p.m.75 Woodbury Blvd. $25. 232-4382. gevatheatre.org. [Special Event] Holiday Laser Show at the Strasenburgh Planetarium.657 East Ave.3 p.m. $4-$10. See listing for Saturday, December 3. [Special Event] HollyTrolleyRidesNew YorkMuseum of Transportation, 6393 East River Rd., Rush.11 a.m.-4 p.m. $4-$5. See listing for Saturday, December 3. [Special Event] North Pole Express on the Arcade and Attica railroad. Two excursions starting at noon and 3 p.m.278 Main St., Arcade. See listing for Saturday, December 3. [Special Event] The Polar Express train excursion on the Medina Railroad. Three trips departing at 4:30 p.m., 5:45 p.m., and 7 p.m. 530 West Avenue, Medina. $28-$45. See listing for December 3. [Special Event] Yuletide in the Country at the GeneseeCountryMuseum.1410 Flint Hill Road, Mumford.1:30-7:30 p.m. $12-$22. Se listing for Friday, December 2. [Theater] "A Christmas Carol" at Geva Theatre.Noon & 4 p.m. $25-$59.50. See listing for Wednesday, November 30. [Theater] "The Gift of the Magi" by Black Sheep Theatre at Village Gate.274 N. Goodman St.2 p.m. $15. See listing for Friday, December 2. [Music] Holiday Chorus Performance by Rochester Rhapsody.Fairport Baptist Home, 4646 Nine Mile Point Rd. 7 p.m. 865-2731.rochesterrhapsody.com. [Music] Spice Up the Holidays performance by the Penfield Symphony Orchestra featuring guest composer Alan Lowne. PenfieldHigh School, 25 High School Dr. 7:30 p.m. $12-$14. 872-0774. penfieldsymphony.org. [Theater] "Christmas with the Calamari Sisters" holiday-themed singing, dancing, and of course cooking.The Smith Opera House, 82 Seneca St., Geneva.7:30 p.m. $30.315-781-5483. 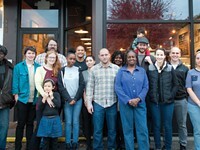 thesmith.org.Continues through December 7. [Special Event] Candlelight Night holiday celebration in the Village of Pittsford with horse-drawn wagon rides, Santa sightings, more. 4-9 p.m. 248-6280. townofpittsford.org. [Theater] "A Christmas Carol" at Geva Theatre.7 p.m. $25-$59.50. See listing for Wednesday, November 30. [Theater] "Christmas with the Calamari Sisters" Smith Opera House, 82 Seneca St., Geneva.7:30 p.m. $30. See listing for Monday, December 5. [Music] A Cup of Good Cheer holiday concert with special guests Madrigalia. Hochstein Performance Hall, 50 N. Plymouth Ave. 12:10 p.m. Free. 454-4403. hochstein.org. [Theater] "Christmas with the Calamari Sisters" Smith Opera House, 82 Seneca St., Geneva.2 & 7:30 p.m. $30. See listing for Monday, December 5. [Music] 100.5 The Drive's Mistletoe Show feat. O.A.R. w/Brent James Music, Tinted Image at WaterStreetMusic Hall. 204 N. Water St.7 p.m. $25-$35. Waterstreetmusic.com. [Music] RRO: Philharmonics Holiday Classics featuring Pachelbel's "Canon" and other selections. Kodak Hall at Eastman Theatre, 60 Gibbs St.7:30 p.m. $15-$75. 454-2100. rpo.org.Continues December 10. 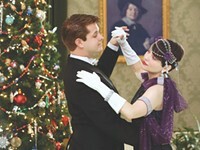 [Special Event] Holiday Homecoming Celebration Seasonal festivities at the George Eastman House. 900 East Ave.5-8 p.m. $3-$12. 271-3361. eastmanhouse.org. [ Music ] RPOHolidayConcertCanandaiguaAcademy, 435 East St., Canandaigua.7:30 p.m. 454-2100. rpo.org. [Dance] Red Hot Holiday Ball hosted by Groove Juice Swing at the Tango Café Dance Studio. 389 Gregory St. 7-11 p.m. Free. 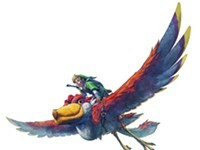 415-3714. groovejuiceswing.com. [Dance] Winter Dance Gala holiday performance by Hochstein School of Dance students.Hochstein Performance Hall, 50 N. Plymouth Ave.7:30 p.m. Free.454-4403. hochstein.org. [Movie] "Christmas in Connecticut" at the Dryden Theatre.900 East Ave.8 p.m. $6-$8. 271-3361. dryden.eastmanhouse.org. [Music] Chamber Music Holiday Recital performance by Hochstein School of Music chamber groups.50 N. Plymouth Ave.6 p.m. Free.454-4596. hochstein.org. [Special Event] Celebrate the Season at the New York Wine & Culinary Center. 800 S. Main St., Canandaigua.6-9 p.m. $35.394-7070. nywcc.com. [Special Event] Festival of Trees at the Granger Homestead.295 N. Main St, Canandaigua.1-7p.m. $1-$5. See listing for Wednesday, November 30. [Special Event] Yuletide in the Country at the GeneseeCountryMuseum.1410 Flint Hill Road, Mumford.5-8:30 p.m. $12-$22. Se listing for Friday, December 2. [Theater] "Miracle on 34th Street" presented by STAGES. Auditorium Theater, 3rd Floor, 885 E. Main St.7:30 p.m. $12-$15. 935-7173. Mjtstages.com.Continues through December 11. [Theater] "The Gift of the Magi" by Black Sheep Theatre at Village Gate.274 N. Goodman St.7:30 p.m. $15. See listing for Friday, December 2. [Dance] Savior Ballet dance performance by the Yahweh Ballet. 2344 Ridge Rd., Ontario. 6:30 p.m. $7.350-9012. yahwehballet.org. [Movie] "The Nightmare Before Christmas" at the Dryden Theatre. 900 East Ave.8 p.m. $6-$8. 271-3361. dryden.eastmanhouse.org. [Music] Carols Around the World presented by the Lyric Chorale. St. LouisChurch, 60 S. Main St., Pittsford.7:30 p.m. $12-$18. lyricchorale.org. [Music] HolidayJagermeister Metal Meltdown at MontageMusic Hall.50 Chestnut St.7:30 p.m. $7.themontagemusichall.com. [Music] Music in My Mother's House holiday performance by the Rochester Women's Community Chorus.St. Anne's Church.1600 Mt. Hope Ave.7:30 p.m. $5-$10. 234-4441. therwcc.org. [Music] RPO: Philharmonics Holiday Classics Kodak Hall at Eastman Theatre, 60 Gibbs St.8 p.m. $15-$75. See listing for Thursday, December 8. [Recreation] 1000 Acre Swamp Holiday Hike free guided hike through 1000 Acre Swamp in Penfield. 1587 Jackson Road. 10 a.m.-noon. Free. 340-8655. penfield.org. [Recreation] Holiday Season Personal Fitness Healthy indoor activities to help pass the winter months at the RochesterMuseum and ScienceCenter. 657 East Ave. noon-4 p.m. $10-$12. 271-4320. rmsc.org.Continues December 11. [Recreation] It's a Wonderful Run 5K holiday run/walk through Seneca Falls. 108 FallSt., Seneca Falls. 4:40 p.m. $20-$25. 315-568-1438. itsawonderfulrun5k.com. [Shopping] Holiday Festival of Crafts & Gifts at the MonroeCounty Fair Grounds.2695 E. Henrietta Rd.10 a.m.-6 p.m. $3.334-4000. fairandexpocenter.org.Continues December 11. [Special Event] Dallywater's British Holiday Feast 68 Castle St., Geneva. 2 p.m. $48. See listing for Saturday, December 3. [Special Event] Holiday Laser Show at the Strasenburgh Planetarium.657 East Ave.11 a.m. $4-$10. See listing for Saturday, December 3. 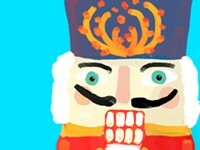 [Special Event] Museum of Kids Art Holiday Fundraiser with holiday-themed artwork and treats. 90 Webster Ave.7-9 p.m. 288-4239. museumofkidsart.org. [Special Event] North Pole Express on the Arcade and Attica railroad. Excursions starting at noon and 3 p.m.278 Main St., Arcade. See listing for Saturday, December 3. [Special Event] The Polar Express train excursion on the Medina Railroad. Three trips departing at 4:30 p.m., 5:45 p.m., and 7 p.m. 530 West Avenue, Medina. $28-$45. See listing for Saturday, December 3. [Special Event] Wigilia Dinner Polish Christmas Eve at St. JohnFisherCollege. Kearney Hall, St. JohnFisherCollege, 3690 East Ave.5 p.m. $15-$35. 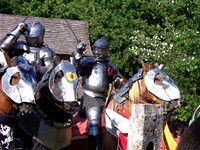 248-0152. polishheritagerochester.org. [Special Event] Winter Wonderland at the StrongMuseum of Play. 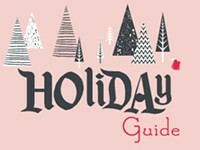 Holiday-themed displays, crafts, and events. 1 Manhattan Square. 10 a.m.-8 p.m. $11-$13. 263-2700. museumofplay.org.Continues through December 18. [Theater] "Annie" presented by Rochester Children's Theatre at NazarethCollegeArtsCenter. 4245 East Ave.2 p.m. $14-$20. 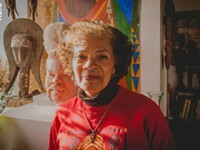 Artscenter.naz.edu. Continues through December 18. [Theater] "Miracle on 34th Street" presented by STAGES. Auditorium Theater, 3rd Floor, 885 E. Main St. 2 & 7:30 p.m. $12-$15. 935-7173. Mjtstages.com. See listing for Friday, December 9. [Movie] "Christmas in Connecticut" at the Dryden Theatre.900 East Ave.5 p.m. $6-$8. 271-3361. dryden.eastmanhouse.org. [Movie] "The Nightmare Before Christmas" at the Dryden Theatre. 900 East Ave.2 p.m. $6-$8. 271-3361. dryden.eastmanhouse.org. [Music] Carols Around the World presented by the Lyric Chorale. Perinton Presbyterian Church, 6511 Pittsford Palmyra Rd.2:30 p.m. $12-$18. lyricchorale.org. [Music] Holiday Concert performance by the Irondequoit Concert Band.EastridgeHigh School, 2350 E. Ridge Rd.3 p.m. Free.irondequoitband.org. [Music] HolidayMusicat the RochesterMuseum and ScienceCenter.657 East Ave. Noon-1 p.m.: Quartet of Ra Cha Cha; 1-2 p.m.: The Bowties. Free w/museum admission, $10-$12. 271-4320. rmsc.org. [Music] HolidayMusic with Kathy Wilkins (guitar and piano).George Eastman House, 900 East Ave. 3 p.m. Included w/museum admission ($5-$12). 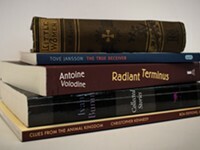 271-3361. eastmanhouse.org. [Music] The Festival of Nine Lessons and Carols presented by the Chorus Novus. NazarethCollegeLinehan Chapel. 4245 East Ave.2:40 p.m. Free.389-2700. naz.edu. [Recreation] Holiday Season Personal Fitness at the RochesterMuseum and ScienceCenter. 657 East Ave.12 p.m.-4 p.m. $10-$12. See listing for Saturday, December 10. [Shopping] Holiday Festival of Crafts & Gifts at the MonroeCounty Fair Grounds.2695 E. Henrietta Rd.10 a.m.-6 p.m. $3. See listing for Saturday, December 10. [Shopping] Holidays at the Market shop the market and enjoy holiday themed decorations and activities. 280 N. Union St. 8 a.m.-3 p.m. See listing for Sunday, December 4. [Special Event] Pancake Breakfast with Santa at the George Eastman House. 900 East Ave. 10 a.m. $15-$20 (sold out). 271-3361. eastmanhouse.org. [Special Event] Winter Wonderland at the National Museum of Play.1 Manhattan Square. noon-5 p.m. $11-$13. See listing for Saturday, December 10. [Theater] "A Christmas Carol" at Geva Theatre.Noon & 4:30 p.m. $25-$59.50. See listing for Wednesday, November 30. [Theater] "Annie" presented by Rochester Children's Theatre at NazarethCollegeArtsCenter. 4245 East Ave.2 p.m. $14-$20. See listing for Saturday, December 10. [Theater] "Miracle on 34th Street" presented by STAGES. Auditorium Theater, 3rd Floor, 885 E. Main St.2 p.m. $12-$15. 935-7173. Mjtstages.com. See listing for Friday, December 9. [Theater] Magic in the MakingGevaTheatreCenter's annual open house. 75 Woodbury Blvd. 6-8 p.m. Free. 232-1366. gevatheatre.org. [Music] RPO Holiday Gala Pops with conductor Jeff Tyzik; December 14 concert to benefit the MonroeCommunityHospital. Kodak Hall at Eastman Theatre, 60 Gibbs St.7:30 p.m. $20-$65. 454-2100. rpo.org.Continues through December 18. [Music] Holiday Prism Concert Holiday music performed by HochsteinSchool of Music & Dance faculty. Hochstein Performance Hall, 50 N. Plymouth Ave.7:00 p.m. $5.454-4403. hochstein.org. [Music] RPO: Holiday Gala Pops December 15 concert benefits Rochester Rotary programs. Kodak Hall at Eastman Theatre, 60 Gibbs St.7:30 p.m. $45.454-2100. rpo.org. [Dance] "Walking D'mba," holiday show by Bush Mango Drum & Dance.34 Elton St.7:30 p.m. $8-$18. 235-3960. Bushmango.com.Continues December 17. [Movie] "We're No Angels" at the Dryden Theatre.900 East Ave.8 p.m. $6-$8. 271-3361. dryden.eastmanhouse.org. [Music] RPO Holiday Gala Pops with conductor Jeff Tyzik. Kodak Hall at Eastman Theatre, 60 Gibbs St.8 p.m. $15-$75. 454-2100. rpo.org. [Music] The Blastoffs holiday show with Flower City Knuckleheads, The Emersons, and more at MontageMusic Hall. 50 Chestnut St.8 p.m. themontagemusichall.com. [Theater] "1947: A Vintage Christmas" by The Father's House.719 Paul Road. 7 p.m. $8-$12. 889-4870. Tfhny.org.Continues through December 24. [Theater] "The Santaland Diaries" adaptation of the David Sedaris story, at the Blackfriars Theatre.795 E. Main St.8 p.m. $27.454-1260. blackfriars.org.Continues through December 21. [Dance] "Walking D'mba," holiday show by Bush Mango Drum & Dance.34 Elton St.7:30 p.m. $8-$18. See listing for Friday, December 17. [Movie] "The Muppet Christmas Carol" at the Dryden Theatre.900 East Ave.8 p.m. $6-$8. 271-3361. dryden.eastmanhouse.org. [Music] "Messiah" performance by the Genesee Valley Orchestra & Chorus at the FairportChurch of the Assumption.20 East Ave., Fairport.7:30 p.m. $10-$12. 223-9006. gvoc.org.Continues December 18. [Music] A Holiday Celebration with the Empire State Lyric Theatre featuring "Custard the Dragon," a musical setting of "The Polar Express," and more. Aquinas Institute, 1127 Dewey Ave.2 p.m. $10.empirestatelyrictheatre.com. [Music] Holiday Havoc at the MontageMusic Hall.50 Chestnut St.7 p.m. $7.themontagemusichall.com. [Music] HolidayMusic by Fusion Quartet at the RochesterMuseum and ScienceCenter. 657 East Ave. Noon-1 p.m. Free w/museum admission, $10-$12. 271-4320. rmsc.org. [Music] RPO Holiday Gala Pops with conductor Jeff Tyzik. Eastman Theatre, 60 Gibbs St.2 p.m.: $10-$75. 8 p.m.: $15-$77. 454-2100. rpo.org. [Recreation] George Bailey "It's a Wonderful Life" 3K Walk to raise funds for CampDayDreams. Meet at the Sibley Building/Liberty Pole Downtown. 6 p.m. eggwork.com/georgebailey5k. [Recreation] Holiday Roller Skating Party at the Minett Hall, MonroeCounty Fairgrounds. 2695 E. Henrietta Rd. Family skate 2-4 p.m., open skate 6-9 p.m. $6 (includes skate rental). 334-4000. fairandexpocenter.org. [Special Event] Winter Wonderland at the National Museum of Play.1 Manhattan Square. 10 a.m.-8 p.m. $11-$13. See listing for Saturday, December 10. [Theater] "1947: A Vintage Christmas" by The Father's House.719 Paul Road. 4, 6 & 8 p.m. $8-$12. See listing for Friday, December 16. 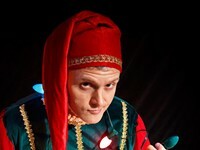 [Theater] "The Santaland Diaries" performance at the Blackfriars Theatre.795 E. Main St.8 p.m. $27. See listing for Friday, December 16. [Movie] "The Muppet Christmas Carol" at the Dryden Theatre.900 East Ave.2 p.m. $6-$8. 271-3361. dryden.eastmanhouse.org. [Movie] "We're No Angels" at the Dryden Theatre.900 East Ave.5 p.m. $6-$8. 271-3361. dryden.eastmanhouse.org. [Music] "Messiah" performance by the Genesee Valley Orchestra & Chorus at the PinnacleLutheranChurch in Henrietta.250 Pinnacle Rd.3 p.m. $10-$12. See listing for Saturday, December 17. [Music] HolidayMusic with Silver Tones Flute Choir George Eastman House, 900 East Ave. 3 p.m. Included w/museum admission ($5-$12). 271-3361. eastmanhouse.org. [Music] RPO Holiday Gala Pops performed by the RPO with conductor Jeff Tyzik. Eastman Theatre, 60 Gibbs St.2 p.m., $10-$75. 454-2100. rpo.org. [Theater] "1947: A Vintage Christmas" by The Father's House.719 Paul Road. 7 p.m. $8-$12. See listing for Friday, December 16. [Theater] "The Santaland Diaries" performance at the Blackfriars Theatre.795 E. Main St.2 p.m. $27. See listing for Friday, December 16. [Special Event] Holiday Laser Show at the Strasenburgh Planetarium.657 East Ave.2 p.m. $4-$10. See listing for Saturday, December 3. [Theater] "A Christmas Carol" at Geva Theatre. 2 & 7 p.m. $25-$59.50. See listing for Wednesday, November 30. [Theater] "The Santaland Diaries" performance at the Blackfriars Theatre.795 E. Main St.7:30 p.m. $27. See listing for Friday, December 16. [Music] A Christmas Celebration performance by Jim Brickman with special guests Anne Cochran, and Benjamin Utecht. Auditorium Theatre, 885 E. Main St.7:30 p.m. $32.50-$77.50. 325-7760. rbtl.org. [Movie] "It's a Wonderful Life" at the Dryden Theatre. George Eastman House, 900 East Ave.8 p.m. $6-$8. 271-3361. dryden.eastmanhouse.org. [Music] The Isotopes Christmas Bash at MontageMusic Hall. 50 Chestnut St.8 p.m. themontagemusichall.com. [Special Event] Holiday Laser Show at the Strasenburgh Planetarium.657 East Ave.2:30 & 4:30 p.m. $4-$10. See listing for Saturday, December 3. [Theater] "1947: A Vintage Christmas" by The Father's House.719 Paul Road. 6 & 8 p.m. $8-$12. See listing for Friday, December 16. [Special Event] Holiday Dinner Four-course mealat the Woodcliff Hotel and Spa. 199 Woodcliff Dr. 6 p.m. $32-$44. 381-4000. woodcliffhotelandspa.com. [Special Event] Holiday Laser Show at the Strasenburgh Planetarium.657 East Ave.11 a.m. & 2:30 p.m. $4-$10. See listing for Saturday, December 3. [Theater] "1947: A Vintage Christmas" by The Father's House.719 Paul Road. Noon. $8-$12. See listing for Friday, December 16. [Theater] "A Christmas Carol" at Geva Theatre.Noon. $25-$59.50. See listing for Wednesday, November 30. [Theater] "The Night Before Christmas" by the RMSC Players at the RochesterMuseum and ScienceCenter. 657 East Ave.1 p.m.Free w/museum admission, $10-$12. 697-1942. rmsc.org. [Special Event] Holiday Laser Show at the Strasenburgh Planetarium.657 East Ave.3:30 & 5:30 p.m. $4-$10. See listing for Saturday, December 3. [Special Event] Holiday Laser Show at the Strasenburgh Planetarium.657 East Ave.11 a.m., 3:30 & 5:30 p.m. $4-$10. See listing for Saturday, December 3. [Special Event] Holiday Science & Technology at the RochesterMuseum and ScienceCenter.Holiday-themed science and technology activities.657 East Ave.11 a.m.-4 p.m. $10-$12. 271-4320. rmsc.org.Continues through December 30. [Special Event] Kwanzaa Family Day at the MemorialArtGallery. Celebrate with music, dancing, and storytelling. 500 University Ave. Noon-5 p.m. $5-$12. 276-8900. mag.rochester.edu. [Special Event] Holiday Science & Technology at the RochesterMuseum and ScienceCenter.657 East Ave.11 a.m.-4 p.m. $10-$12. See listing for Tuesday, December 26. [Music] Achilles Holiday Show at the Bug Jar.219 Monroe Ave.7:30 p.m. 454-2966. bugjar.com. [Special Event] Kwanzaa: Celebration of Family, Community, and Culture at the RochesterMuseum and ScienceCenter. 657 East Ave.3-6 p.m.Free w/museum admission, $10-$12. 271-4320. rmsc.org. [Movie] New Year's Eve Double Feature at the Dryden Theatre. Featuring "The Thin Man" starting at 7 p.m. and "After The Thin Man" starting at 9 p.m. 900 East Ave. $6-$8. 271-3361. dryden.eastmanhouse.org. [Music] Garage-Pop Records presents Trashcan Records' Class Reunion Show feat. Nod, TheThundergods, The Quitters, Muler, Intrinsic, and DJ El Destructo at Bug Jar. 219 Monroe Ave.9 p.m. $7-$9. bugjar.com. [Special Event] Family New Year's Eve at the Dome Arena, including fireworks at 9:30 p.m.2695 E. Henrietta Rd.6-10 p.m. $4.334-4000. fairandexpocenter.org. [Special Event] La Befana: An Epiphany Eve Legend from Italy at the RochesterMuseum and ScienceCenter. 657 East Ave. 1 & 2 p.m.Free w/museum admission, $10-$12. 271-4320. rmsc.org. [Special Event] New Year's Eve at the Radisson party with live music, food, drinks, and more.120 E. Main St. $275 per couple.546-6400. rochesternewyearseve.com. [Special Event] New Year's Eve Celebration & Fireworks at the RochesterRiversideConvention Center. Free indoor activities 7-9:45 p.m. followed by fireworks at 10 p.m. Free. 123 E. Main St. cityofrochester.gov. [Theater] "Hollywood Sings" & "I Do, I Do" at the Jewish Community Center.Special performances of "I Do, I Do!" and "Hollywood Sings. "1200 Edgewood Ave. "Hollywood": 6 p.m. "I Do": 9 p.m. $18-$24. 461-2000. jccrochester.org. [Theater] Geva Comedy Improv's New Year's Eve Mainstage Spectacular at Geva Theatre. 75 Woodbury Blvd. Shows at 7:30 & 10:30 p.m. $20. 232-GEVA.Gevacomedyimprov.org. [Theater] New Year's Eve Explosion by Village Idiots Comedy Improv.Village Gate, 274 N. Goodman St. Three shows: 7:30, 9, 10:30 p.m. $10. Improvvip.com. [Theater] The Capitol Steps traditional New Year's Eve political satire and comedy show. Callahan Theater at NazarethCollege, 4245 East Ave. Shows at 6:30 p.m. & 10 p.m. $45-$75. 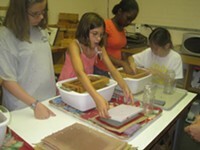 389-2525. artscenter.naz.edu. BY DEB SCHLEEDE Video games have become much more mainstream over the past few years. Theater review: Screen Plays' "Holiday"